Mike Quinn, the chief executive of Ervia, is stepping down from the post to pursue a new career opportunity in the private sector. Mr Quinn will take up his new position in April. He was previously chief executive of Bord Na Mona and took up the Ervia role in June 2017. Ervia is responsible for the country's national gas and water infrastructure and delivers its services through Gas Networks Ireland and Irish Water. It said the process for selecting a new CEO will start soon, and Mr Quinn will remain in role to ensure a smooth transition over the coming months. 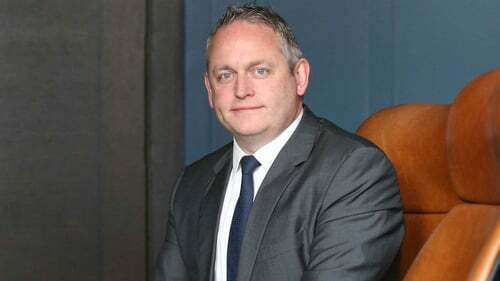 Earlier this week, Coillte CEO Fergal Leamy also said he was leaving the semi-state body for a job in the private sector. Ervia said that since Mr Quinn has joined the company, he has made a significant contribution in driving company performance and preparing for the future of both Irish Water and Gas Networks Ireland. Mike Quinn said that during his tenure at Ervia, he has been very impressed by the scale of the challenges and the commitment by almost 1,850 staff across the company to ensuring it has put in place the correct strategy and infrastructure that will support Irish people and facilitate the growth of the Irish economy into the future. "The work we do in water and gas is vital and I have confidence that the talent, expertise and commitment to progress is in place," he said. He also acknowledged the immense work done during the storms and drought of 2018 by both Irish Water and Gas Networks Ireland in what was an intense year with major weather impacts on its networks.